Years ago lens materials and designs were not as easy on your eyes as our newer innovations. If you have been wearing contacts for a long time and you may be experiencing periodic blurred vision, end of day dryness, inability to read up close, redness, irritation or discomfort. These are all signals that your lenses are insulting your eyes. 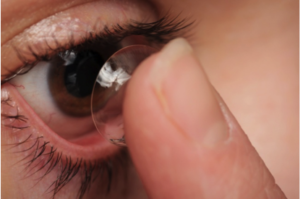 Those little irritations go into a cumulative pool of reactions that ultimately leads to contact lens intolerance and an inability for you to continue wearing contact lenses comfortably. At Parrelli Optical® we specialize in safe, healthy, carefree contact lens wear. We offer a free in office evaluation to determine the source of any difficulties you may be experiencing. 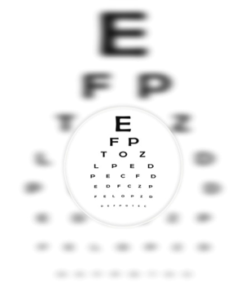 We make recommendations to solve your problems, improve your comfort and to enhance your vision. Even if everything is fine right now, many symptoms don’t show until it’s too late. At Parrelli Optical® our job is to fit your contact lenses to assure a lifetime of successful lens wear. Let us help you fall in love with your lenses all over again. Complete contact lens examinations, contact lens fittings and replacement contact lenses are available at Parrelli Optical® in Beverly, Cambridge, Danvers and North Andover.